Jack in the Box unveils the new, limited-time Pepper Jack Ranch Spicy Chicken Sandwich to provide a bit of heat in the wintertime. The sandwich consists of spicy pepper jack cheese, spicy ranch sauce, a spicy, crispy white-meat chicken filet, lettuce, tomato, and bacon on a bakery bun. 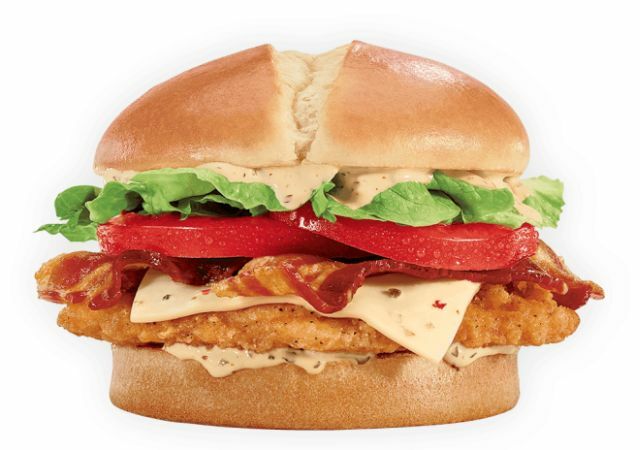 Essentially, it's a spicy version of the chain's Homestyle Ranch Chicken Club.